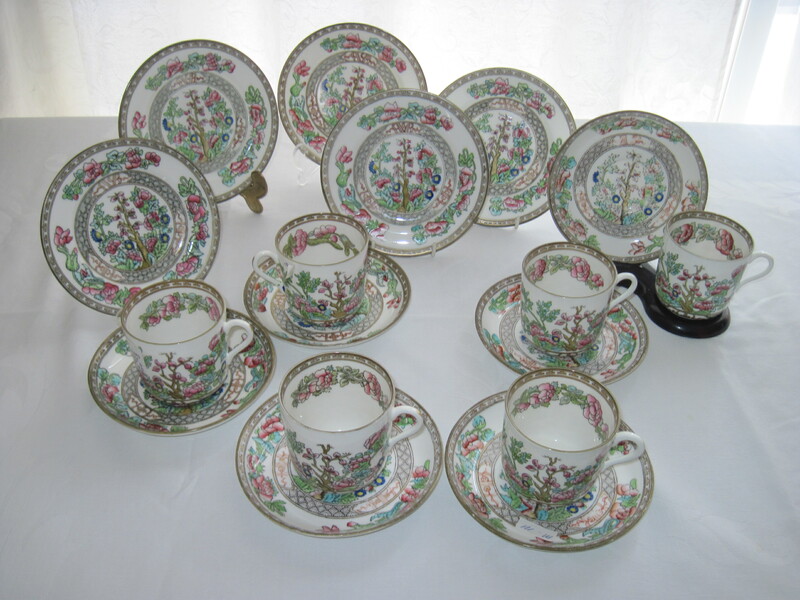 Set of demi tasse cups and saucers and side plates made by Coalport, England, in the Indian Tree pattern. These probably date to the turn of the century. Please note these items are now SOLD! These are so amazing. The color! The patterns! The melding of cultures! Love this.